High voltage power transformer ratio ranges from 90kV to 132kV are the main products of CTSS which have many advantages both on quality and price. All the products has been fully tested and certificated before delivery. Plenty of our products have been exported and applied in oversea markets regarding power plant, substation, mineral and ore industries. Ø Low loss: No-load loss is 40% lower and on-load loss is 15% lower than required in GB6451-1999 National standard. Ø Low noise: Less than 60dB, which can be reached to less than 58 is special requirements is indicated. 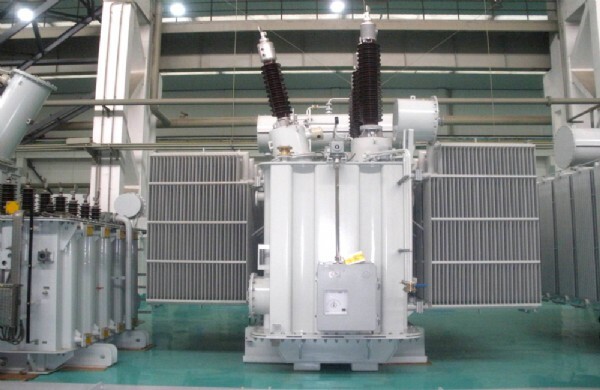 Ø Low partial discharge: strictly insist the no-dust work and blunt all the metallic parts and insulation parts to make sure the partial discharge of110kV ratio transformer less than 100pc and 200kV ratio transformer less than 70pc. Ø Strong mechanical strength and short-circuit withstand ability: winding inner hard support, double dovetail block, upper and lower insulation are integrated press plate. Application: 90-132kV power system of power plant, power house, substation, mining enterprise and etc.